Signal Processing at Your Fingertips! 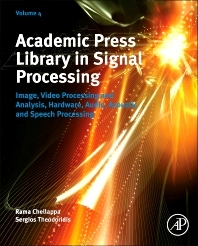 This fourth volume, edited and authored by world leading experts, gives a review of the principles, methods and techniques of important and emerging research topics and technologies in Image, Video Processing and Analysis, Hardware, Audio, Acoustic and Speech Processing. 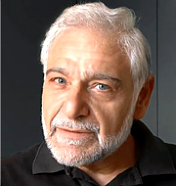 Sergios Theodoridis acquired a Physics degree with honors from the University of Athens, Greece in 1973 and a MSc and a Ph.D. degree in Signal Processing and Communications from the University of Birmingham, UK in 1975 and 1978 respectively. Since 1995 he has been a Professor with the Department of Informatics and Communications at the University of Athens. Prof. Rama Chellappa received the B.E. (Hons.) degree from the University of Madras, India, in 1975 and the M.E. (Distinction) degree from Indian Institute of Science, Bangalore, in 1977. He received M.S.E.E. and Ph.D. Degrees in Electrical Engineering from Purdue University, West Lafayette, IN, in 1978 and 1981 respectively. Since 1991, he has been a Professor of Electrical Engineering and an affiliate Professor of Computer Science at University of Maryland, College Park. He is also affiliated with the Center for Automation Research (Director) and the Institute for Advanced Computer Studies (Permanent Member). In 2005, he was named a Minta Martin Professor of Engineering. Prior to joining the University of Maryland, he was an Assistant (1981-1986) and Associate Professor (1986-1991) and Director of the Signal and Image Processing Institute (1988-1990) at University of Southern California, Los Angeles. Over the last 29 years, he has published numerous book chapters, peer-reviewed journal and conference papers. He has co-authored and edited books on MRFs, face and gait recognition and collected works on image processing and analysis. His current research interests are face and gait analysis, markerless motion capture, 3D modeling from video, image and video-based recognition and exploitation and hyper spectral processing.